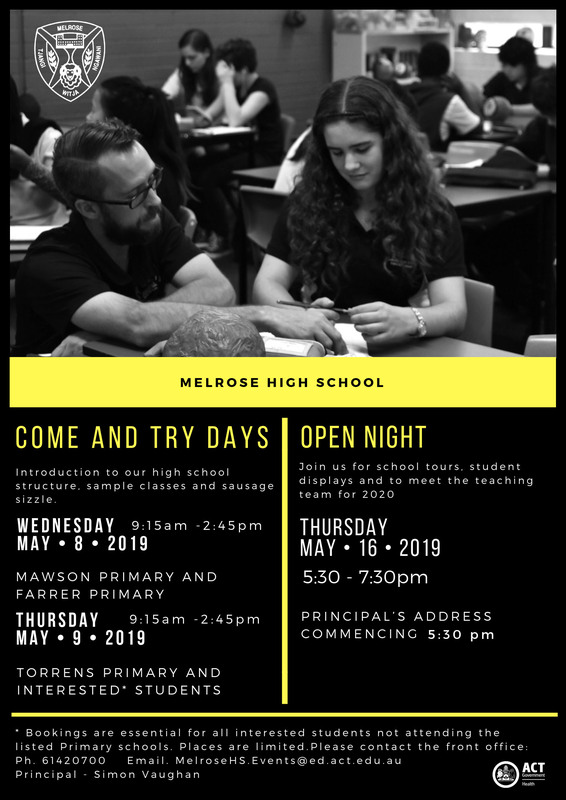 Melrose High School is founded upon a tradition which encourages achievement in learning within a safe and friendly environment based on the values of Respect. The school aims to provide opportunities and support to develop students in the areas of intellectual, aesthetic, moral, emotional, physical and social growth. Many thanks to all the nominees, we appreciate your commitment to our school community. 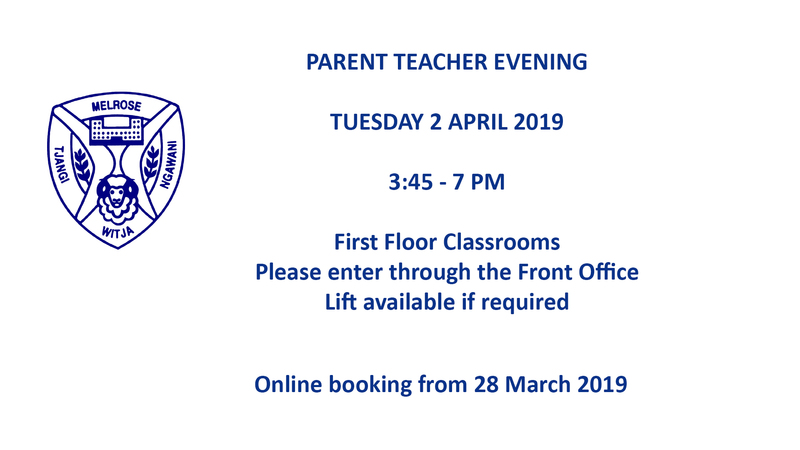 Parent Teacher Interviews will be held on Tuesday 2 April 2019 at 3:45 - 7 PM. Bookings are managed through the Parent Teacher Online (PTO) portal and login information has been emailed this afternoon. PTO will open at 9 AM on Thursday 28 March and close at 12 noon on Tuesday 2 April. 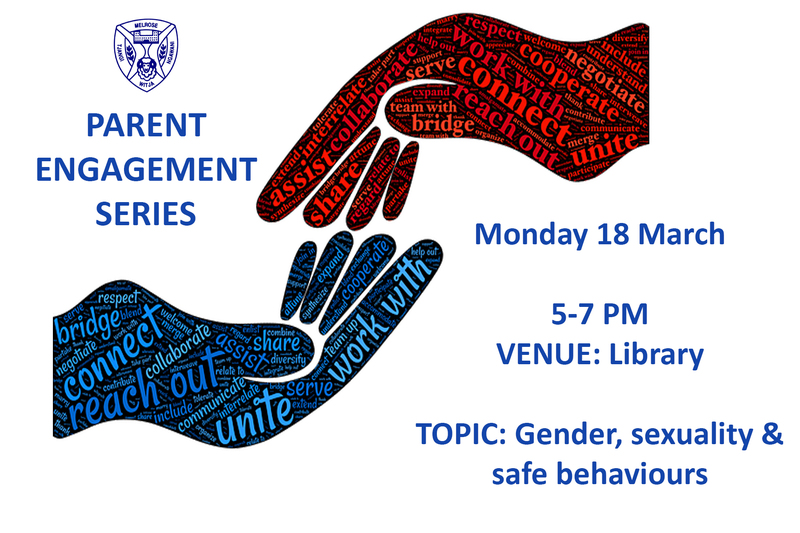 5:20-6:20 pm: Keynote speaker: Jen Lewis from Sexual Health and Family Planning ACT.